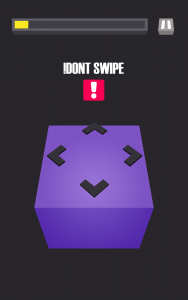 Recently made available on Google Play, Swiperoo is the latest recent from the Australian development group that brought us the highly touted and all around success 360 Degree. Swiperoo is built according to a similar formula, in that it takes a safe and arguably unoriginal concept and makes it work by producing a curiously entertaining game worthy of repeat plays. 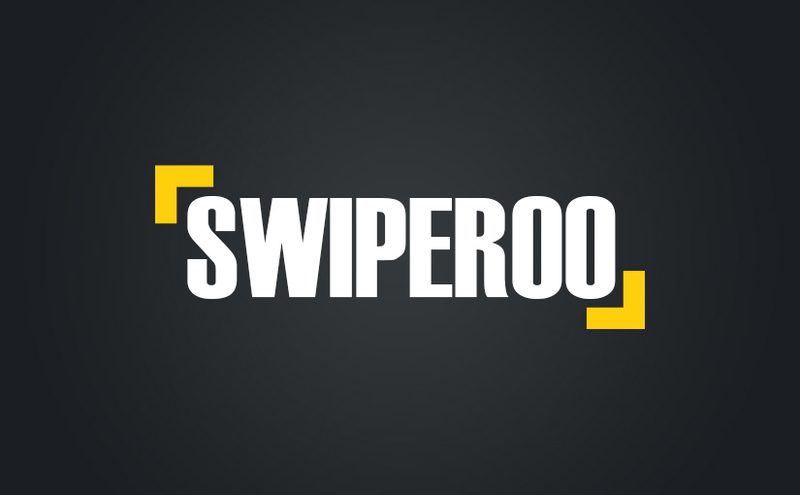 Much like 360 Degree, Swiperoo relies on the speed and accuracy of your instincts and how cool you are under pressure. 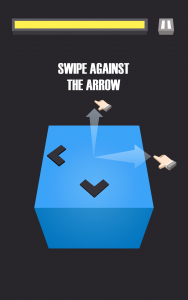 The concept is quite simple, you just need to swipe cube around the screen in the direction that pop up arrows signal. Pretty easy right? While it sounds like child’s play, as you advance and increase your score, you are likely to feel as if you are only keeping your game going by the skin of your teeth. The difficulties come due to the fact that there are other fake arrows popping up all over the place, colours changing and flashes on the screen to throw you off. Playing this game well and getting a competitive score takes a great deal of concentration. 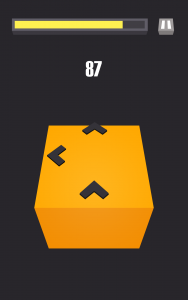 The statistics on smartphone/tablet apps suggest that while there are exceptions, most gamers are looking for simplicity. It that gives us something to do and something to challenge us without really realising we’re really doing it. Swiperoo is just that in the sense that while it takes up your primary attention, you can easily sip on a coffee, watch telly or even have a conversation while you’re mid-swipe. While it isn’t easy to achieve a high score, it is easy to play and enjoy for kids as well. It’s not going to blow your mind, but the best part of Swiperoo is that it be played again and again wherever and whoever you are. If you’re after a game that loads up quickly on your smartphone and you can play without investing too much it’s going to deliver. If however you’re looking for a radical new concept that might take a little longer to get the hang of and work through, there might be better options out there. The one potential shortcoming is the question of the apps longevity. Perhaps a later release could include varying challenges to test players, rather than always looking to go for the highest score. Swiperoo works on many levels and while it isn’t perfect, it certainly can appease most gamers.